1. How did Nico Rosberg end up in P11? On the back of his British Grand Prix success, and given the fact that he'd put his Mercedes on the top of the timing sheets at the first free practice at the Nurburgring, Nico Rosberg was a favourite for pole position. When it was time for Q2, though, Rosberg went out and set a timing of 1min 30.326secs. The Mercedes AMG F1 team believed that this was enough to keep Rosberg out of the knockout zone in Q2, and decided against sending him out for another run. They did this in order to save two sets of option (soft) tyres for Q3. As luck would have it, though, Nico got knocked out during Q2 itself. Ross Brawn admitted that the team had made a mistake, one that could mean Rosberg will have a very tough race tomorrow, starting from P11. 2. How did Daniel Ricciardo end up qualifying sixth, ahead of both Ferraris? 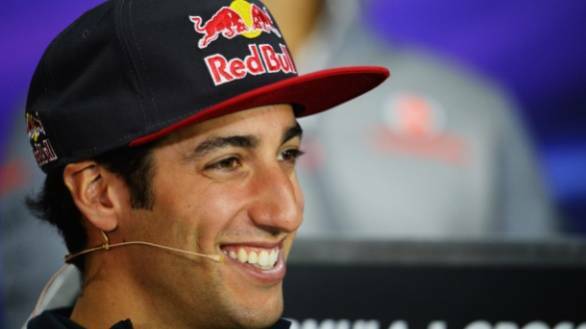 It's quite simple really - Ricciardo is gunning for the seat that will be left vacant when Mark Webber departs from Red Bull at the end of 2013. And in order to get at that seat, he's got to perform well, he does. Given that Ricciardo has competition in the form of Kimi Raikkonen, and to a lesser extent Jean Eric Vergne, now is the time for him to wow the world and prove he has the pace. The Australian driver himself admitted that the pressure he feels now that he knows Webber is leaving Red Bull is in fact helping him perform better. He qualified fifth at the British GP and is now starting the German GP from sixth.There's a driver who seems to be handling the pressure of F1 well. 3. Lotus has qualified well, but do they have the pace to challenge at the front? Let's think about this, shall we? In the past few races, Lotus might not necessarily have managed to do extremely well in qualifying, but their race pace has been quite good. Given that they have had their best qualifying since the Spanish Grand Prix earlier this year, things could go well for the black and gold team. Drivers Kimi Raikkonen and Romain Grosjean declared that their success in qualifying could be chalked off to the fact that Lotus was operating well with the Pirelli tyres once they reached optimum temperature. Grosjean added that the new 'kevlar' belted tyres seemed to suit Lotus more. Well, be that as it may, they've still got three faster cars ahead of them. A good start to the race might see Kimi score a podium. Grosjean? Well, we're hoping he keeps his nose clean. 4. Why did Ferrari choose to qualify on the medium (prime) tyres? Ferrari's Felipe Massa and Fernando Alonso will start the German Grand Prix from seventh and eighth on the grid. Ahead of them is the Mercedes of Lewis Hamilton, the two Red Bulls, two Lotus F1 cars, and the Toro Rosso of Daniel Ricciardo. And while Massa topped both Q1 and Q2, Ferrari decided to send their two drivers out on the slower prime tyre for Q3. With the front runners all having qualified on the faster option tyre, Massa and Alonso have an advantage during the race. Running during practice suggested that the soft option tyre wore faster than the hard prime tyre. Which means that when the race starts, the Ferraris might be able to keep up with and then get past the cars ahead and even take race lead when the others pit earlier during the race. 5. And finally, are we going to see the drivers boycott this race? Simple - no. The Grand Prix Drivers Association (GPDA) said that they would boycott the race if there was the slightest sign of tyres blowing up again. Well, there hasn't been any sign that the Pirellis at the German Grand Prix will explode. And after having run three 90-minute practice sessions and one 45-minute qualifying session without incident, it seems like the tyre work fine and the race will proceed without incident. At any rate Kimi Raikkonen says that he'll compete in the race no matter what, since he isn't part of the GPDA in any case!